Raising Responsive Children is for both married and single moms and applies to children of any age. 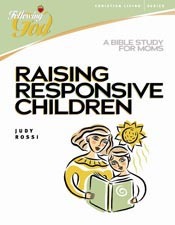 Topics include: who God is and what qualifies Him to be the ultimate Parent;the value of His Son&apos;s role in the parenting process;familial burdens and sins that only He can break;parenting to each child&apos;s God-designed uniqueness;exercising creative discipline such as natural and created consequences;five common challenges moms face in the parenting process;raising responsive young men and women in today&apos;s culture;and the power of prayer to get us through the challenges of the growing up years. 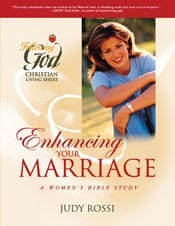 A free, downloadable Leader&apos;s Guide is available at Judy&apos;s website: www.eymministries.org.